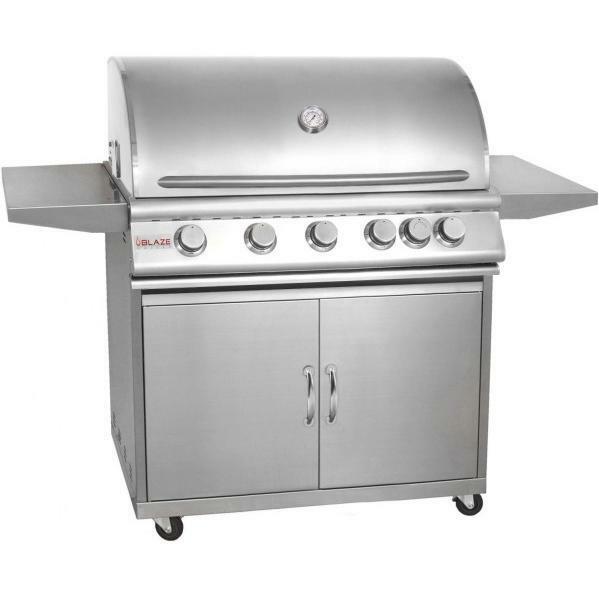 Product Description: Bull Steer Premium 25-Inch 3-Burner Freestanding Propane Gas Grill - 69101. 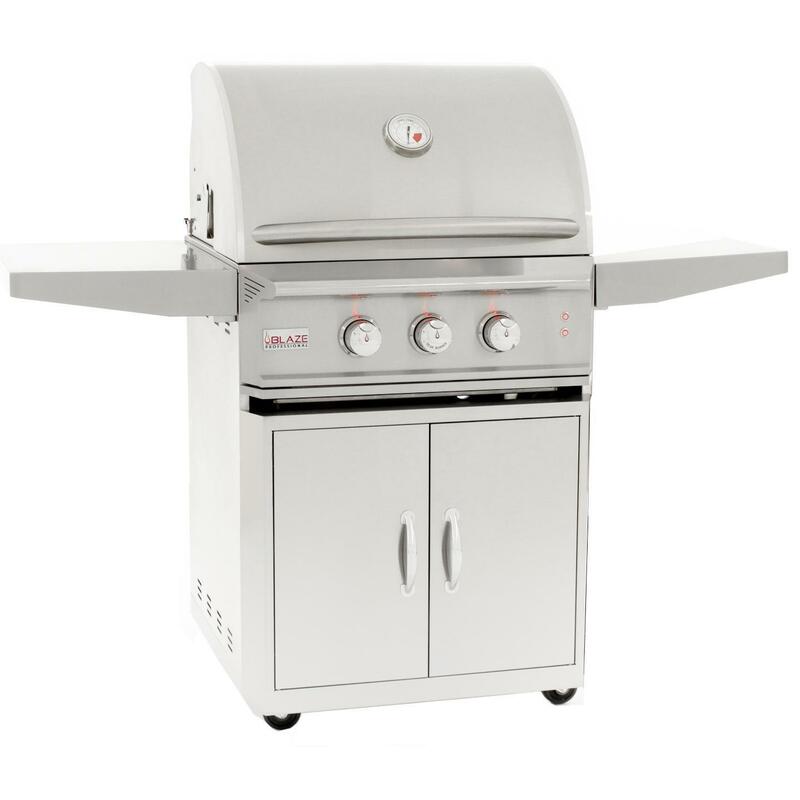 The Bull Steer stainless-steel BBQ grill is a simple but highly efficient cooking machine backed by Bull’s lifetime warranty which assures this feature rich grill is high quality and built to last. 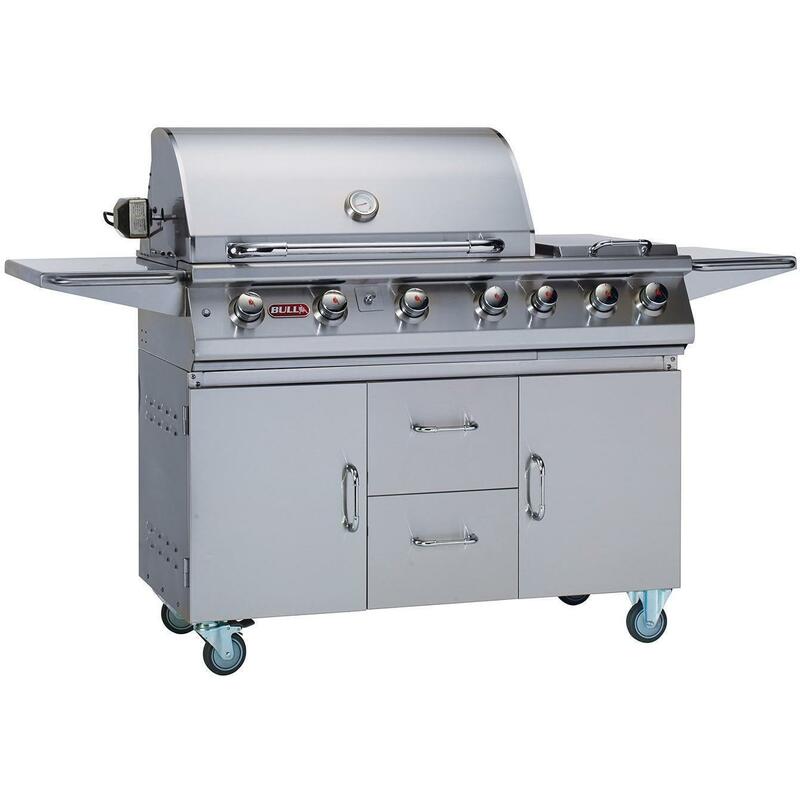 This cart has plenty of room for grilling and plenty of storage under the grill for your propane tank and tools. 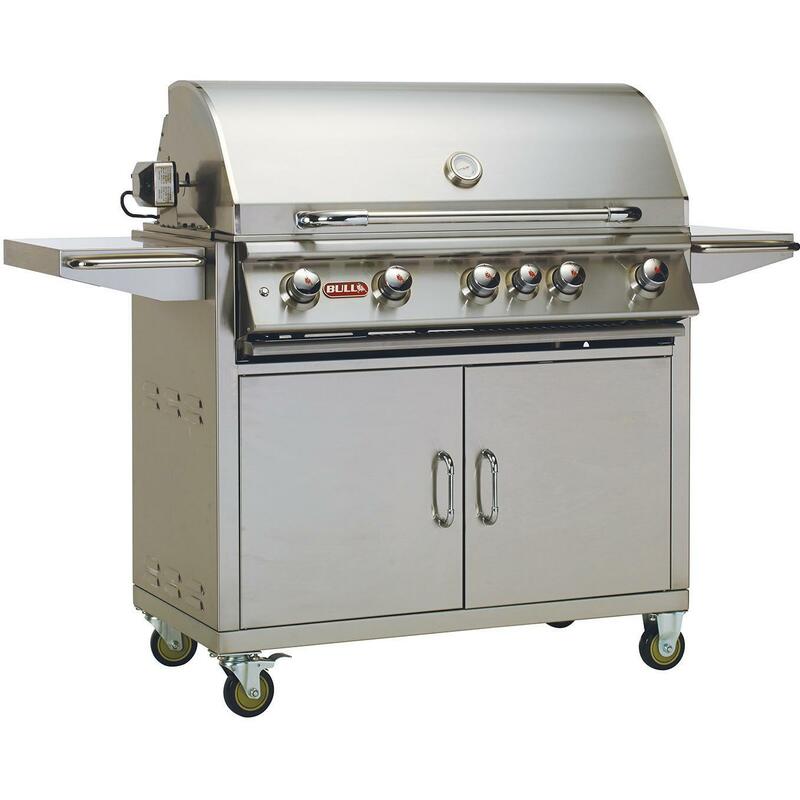 It can also be easily moved to the ideal location in your backyard or patio. 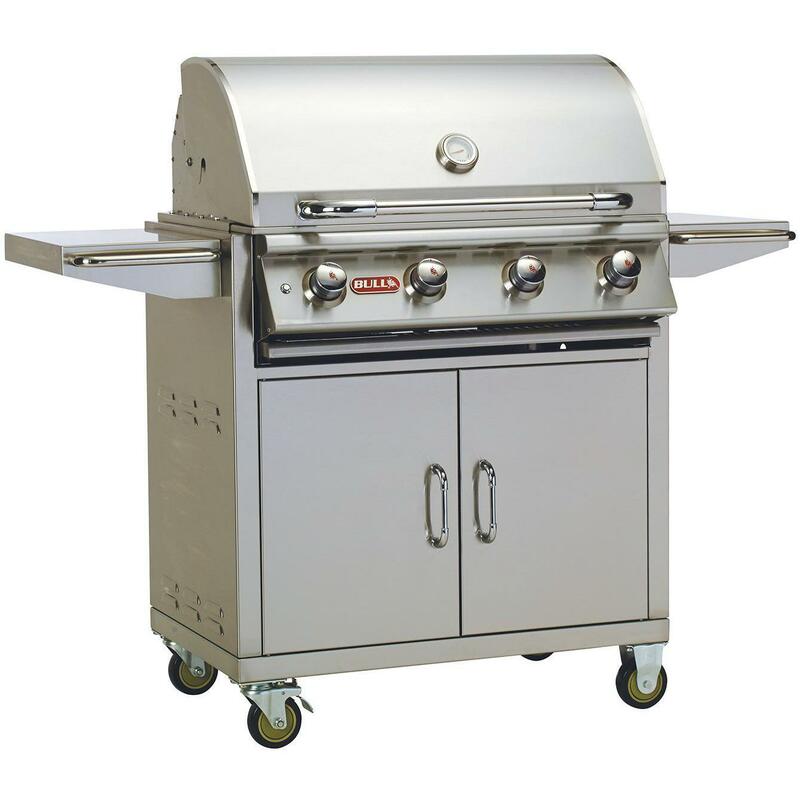 The Steer barbecue grill’s heavy-duty commercial grade construction uses 14-gauge top quality 304 stainless steel and comes with solid heavy-duty stainless-steel grates able to withstand a lifetime of use. This higher quality 304 stainless steel has more nickel alloy content which helps prevent rust and corrosion. The Bull Steer gas BBQ grill has a double lined hood which keeps the heat in and helps prevent the hood from discoloring. 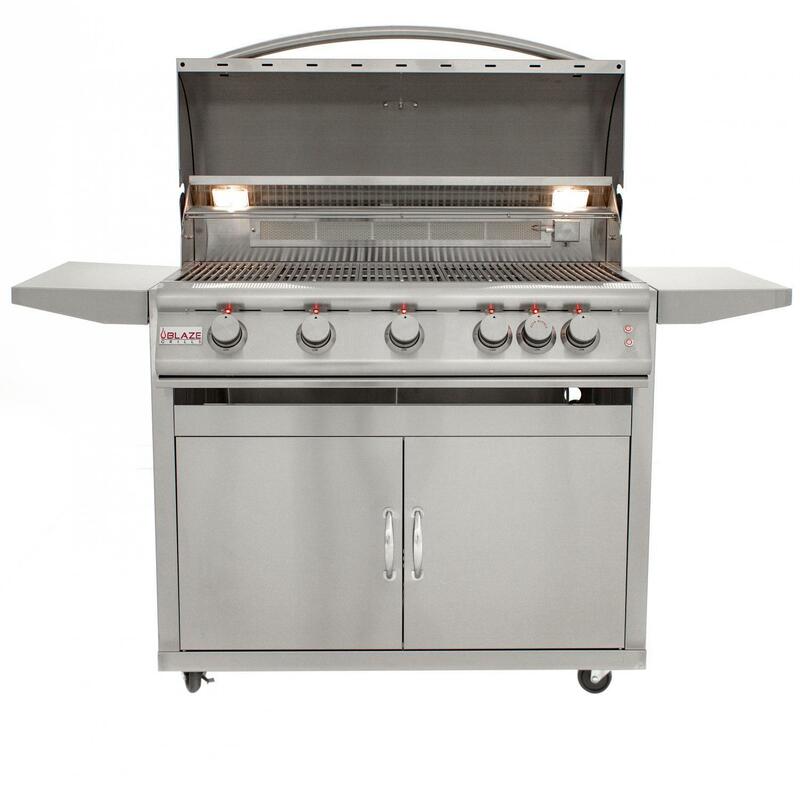 At the heart of Bull Outdoor Products most popular and best reviewed 24” gas BBQ grill are 3 cast stainless steel bar burners capable of generating a total of 45,000 BTUs. 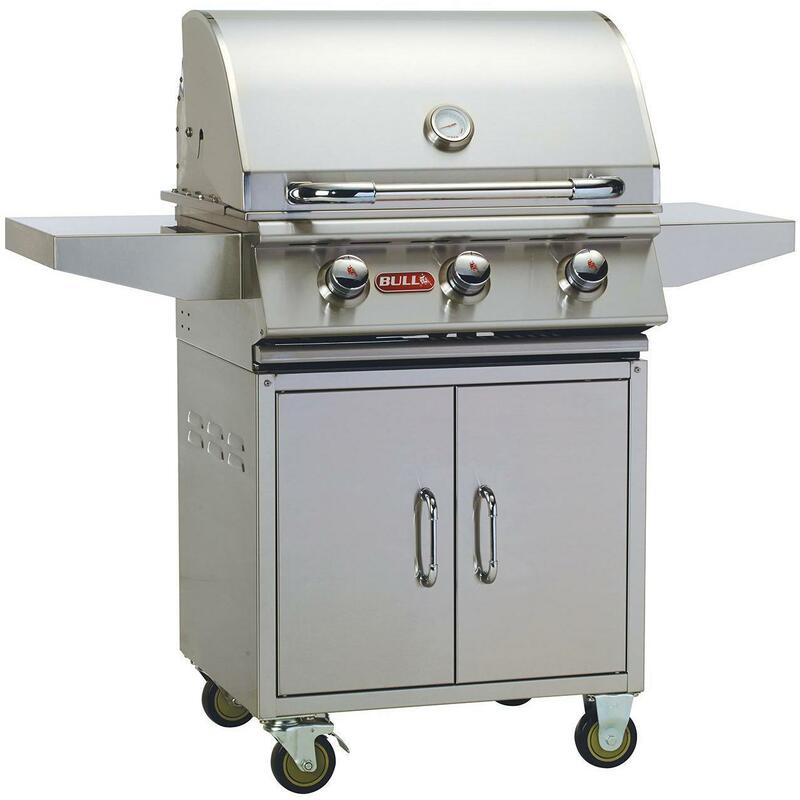 Bull’s proprietary ReliaBULL grilling technology is evident in every aspect of the Steer 24” Barbecue Grill, from the Sure-lite gas valves and piezo igniters to the perforated stainless-steel flame tamer and heat deflector plates which provide even heat distribution for a great grilling experience. This ReliaBull flame tamer technology minimizes uneven heating and improves heat distribution by 150%. 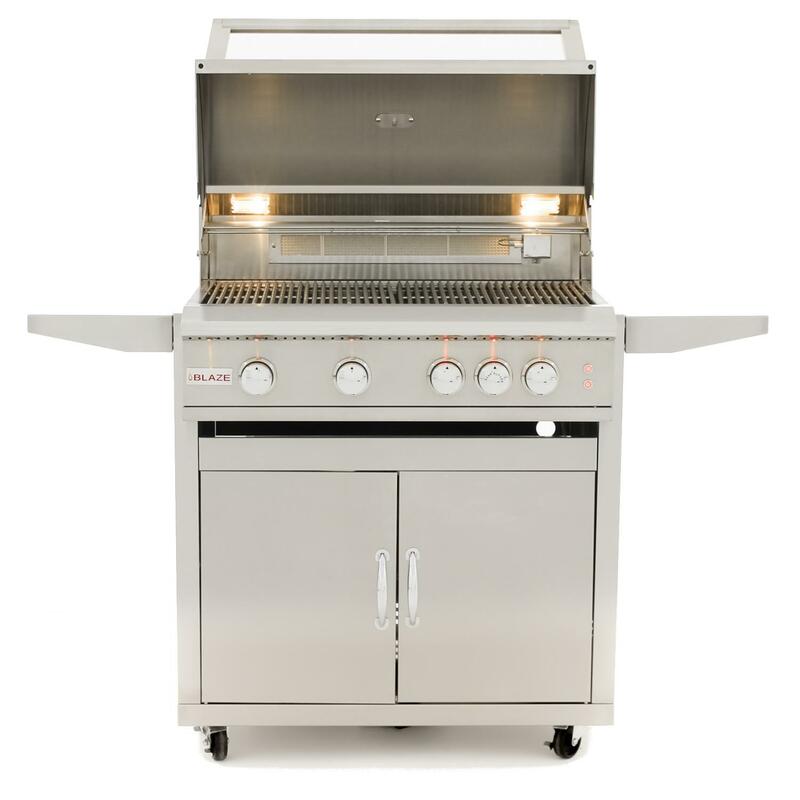 The 3 main cast stainless bar burners quickly heat the large 556 sq. inches of main cooking area. 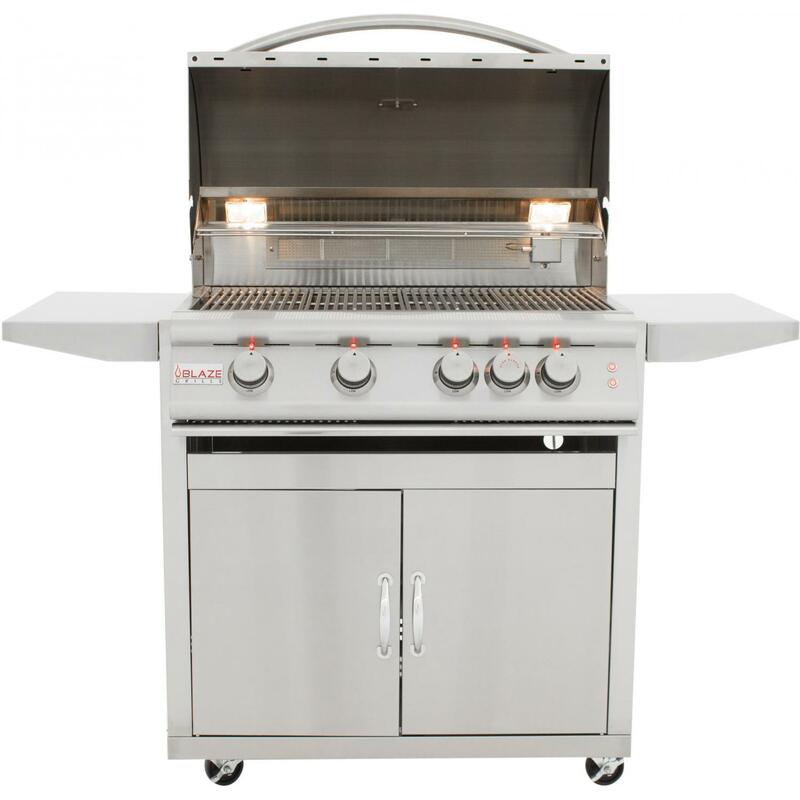 This large cooking area is large enough for multi zone grilling that allows even the least experienced grill enthusiast to cook like a champion. 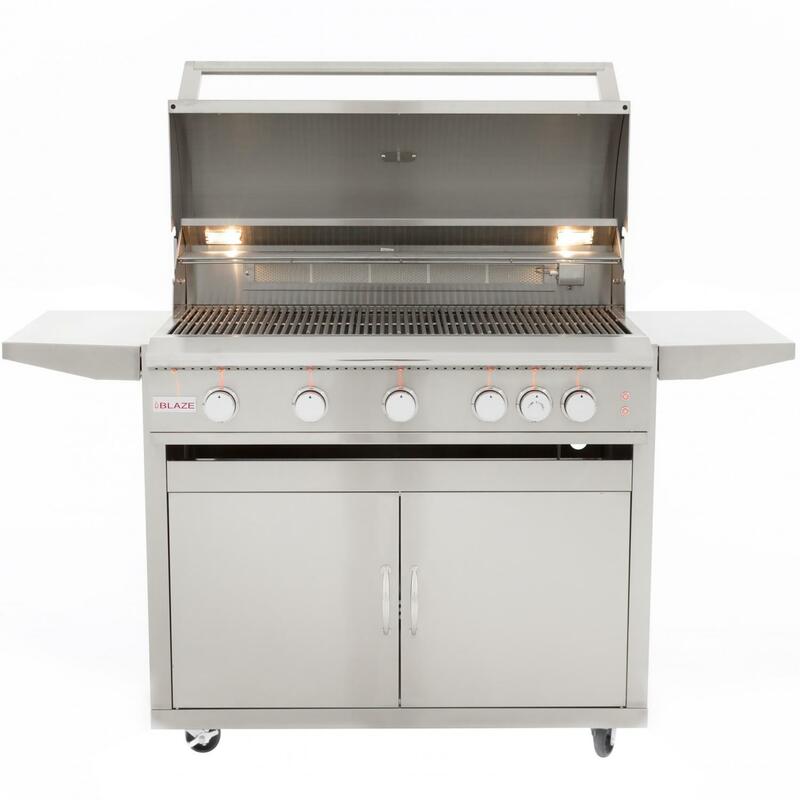 This drop-in grill is loaded with high end features like the easy to use piezo igniter, dual interior lights with LED light switch for evening grilling, large 160 sq. inch warming rack to keep your food warm and prevent food from overcooked. 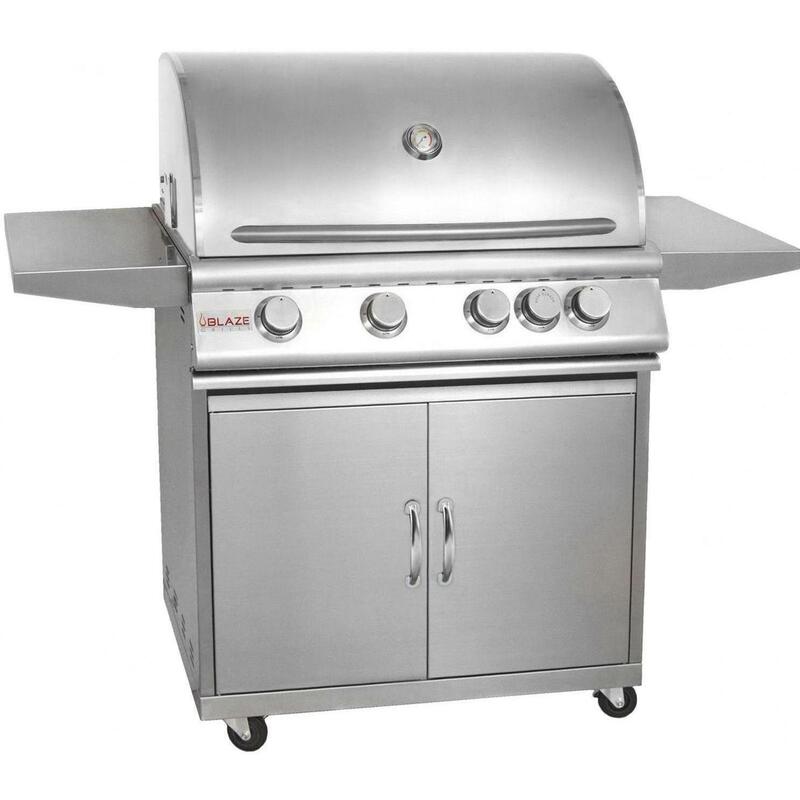 The professional grade Steer models 69101 and 69102 gas grill are 3-Burner 24" stainless steel grill cartss with 3 main cast stainless steel bar burners. 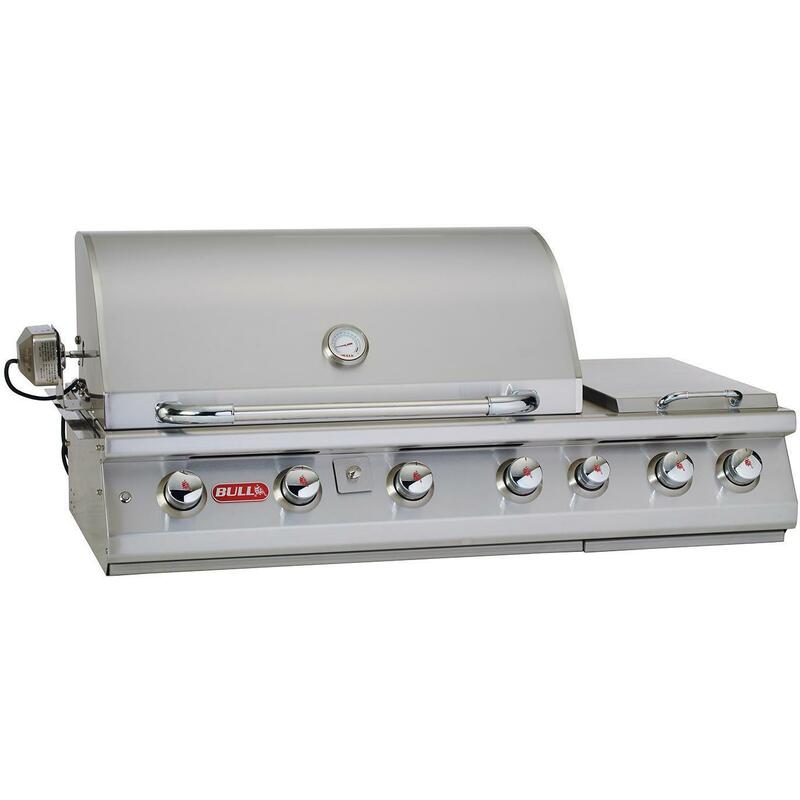 This grill has lots of features that contribute to its strong cooking performance and convenience. 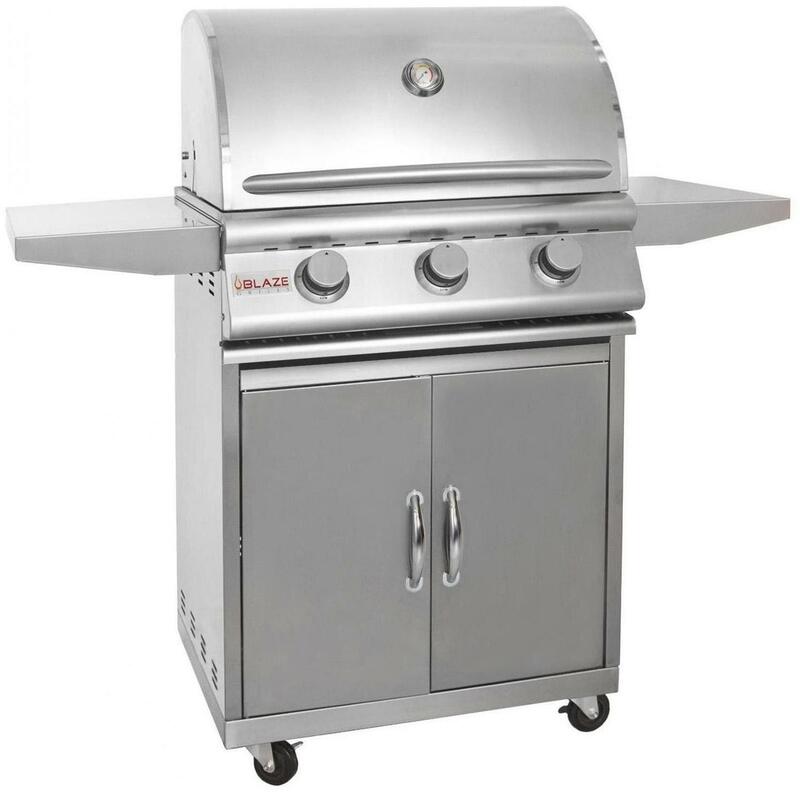 This includes dual grill lights, hood-mounted thermometer and a seamlessly welded double-lined hood.